recommended for: Fans of Mechanica by Betsy Cornwell, Crimson Bound by Rosamund Hodge, and other fanciful (yet poignant) fairy tale retellings. I've seen some negative buzz around Heartless, and I wonder if people were expecting too much for it to be The Lunar Chronicles is another skin. 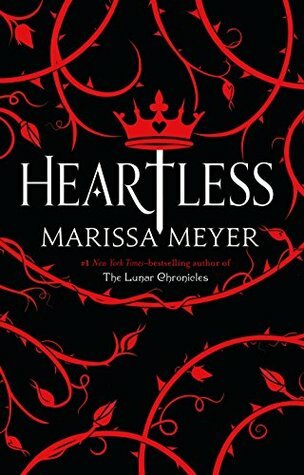 Despite being a retelling, Heartless is very different from Meyer's first series in content and style. It's set in a more traditional Victorian-esque Wonderland, not the cyber-sci-fi of New Beijing. It's less action oriented. Even the writing is a little softer, a little more whimsical. It's also not as tight as TLC. Some of the characters are hand-wavy, some of the plotting clumsy. Expect a clone of the fast-paced TLC and you'd get something very different. Accept that it's different, and I think there's much to love here. It's not a perfect book, but it's a striking one. Meyer has lovingly pulled familiar characters and stories from Carroll's canon to populate Hearts, a frivolous kingdom ruled by a silly monarch, and Chess, the war-torn enigma beyond the looking glass. I smiled to see many of my favorites, especially Meyer's more obscure allusions. Her passion and research is admirable and obvious. Yet, some of the inclusions felt forced, too over-the-top. Perhaps I'm just so used to things like the Jabberwock cropping up, I was disappointed at not finding a bigger worldbuilding twist ala A.G. Howard's Splintered. It was also odd to me to have the wild Wonderland a place of Victorian puritanism. (And the Cheshire Cat? Totally underutilized.) That said, most of Meyer's reimaginings were so lovingly earnest, whimsical and a little tragic, that I couldn't help sink into the story. Here we have the Queen of Hearts long before her crowning, when she was just a lass called Catherine who dreamt of opening a bakery. I'll admit that I don't find baking all that interesting (unless I'm eating it), so I didn't quite feel the urgency about Catherine's hobby that she did. That said, I connected strongly with her struggle between duty and love, passion and propriety. I loved her spirit and confidence. Her kindness and playfulness. There was much about her that I didn't love, and it soured my taste for her at first--until I realized how carefully Meyer had crafted herself a flawed heroine. Catherine is flighty and impulsive, spiteful and judgmental. She is quick to love and just as quick to condemn. In this, she is very much the master of her own story, not a hapless victim to fate. When for so long a solution to her plight seemed obvious to me, I had to remember that something in her nature prevented her from seeing it as an option. So it was frustrating at times, but in the way that Hamlet is frustrating. The side cast was full of memorable faces. While Mary Ann, Catherine's best friend, was too little present, other characters shone. Catherine's parents were driving forces. The King of Hearts is silly and pity-inducing. Sir Peter of the pumpkins is manically terrifying. And Jest? Ah, the beloved court joker is a silver-tongued, seductive, and yet blushingly boyish hero who dazzles with puns and whimsy. You can't help but wonder how a girl could fall so swiftly and madly in love with him. Even when I worried that their romance was moving too fast, I believed it. The instant burn of it felt realistic, given the two people involved. Then there are the treacle Sisters. They're brilliantly unsettling, and I'd read another book in this world just for more of their creeptastic games. With these characters dancing crazily about, it's a fun, frolicky sort of plot, not without a bit of darkness. Catherine is torn between Jest and her dream bakery and her family's expectations; the king is haplessly courting her; and all the while, the Jabberwock is wreaking havoc. Just when I thought I knew Meyer's game, she smacked me upside the head with a plot twist. Her ending? Ripped my heart out. Absolutely cruelly brilliant. 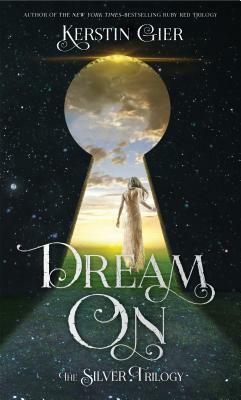 The whole package is wrapped up in Meyer's clear, pretty writing, her puns and wordplay and stunning description. When you can tell so clearly that an author had fun writing a book, it's difficult not to have fun reading it. Heartless is a whimsical imagining of the rise of a villain, cleverly toeing the line between playfulness and darkness. will i read this author again? Yes! Would that I could right now. will i continue the series? I know it's a standalone, but I kind of want a sequel. Or a companion. Maybe about Hatta or Chess? I've been seeing such mixed things about this novel! I think I might give it a shot and check it out from my library one day (in the near future hopefully). Great review! I hope you like it! I think it was kind of hit or miss for people, but it really worked for me. Thank you!